So this week for Friday words, instead of the normal, I'm going to list the words that I personally have been tracking for 2018. Since anyone can nominate a word of the year, I also offer these as nominations in case anyone wants to present them at the live session. I'll mostly use the categories that ADS uses for their nominations, except that I have no particular hashtag to offer, and emoji? Not me. I have not actually picked winners here, for any category or overall. Feel free to vote for your favorite(s)! Content warning: The list contains offensive terms and terms with possible political bias. There have been a lot of interesting words from politics this year. Here are the ones I found that I thought bubbled to the top of the 2018 heap. The process by which a legal resident of the US can sponsor the immigration of close family members. This is a Frank Luntz-worthy coinage that distills a complex issue into a sound bite to stir emotion. A term allegedly used by Trump to describe countries from which the US should not be accepting immigrants. A question asked under oath whose purpose is to catch a witness in a lie. An actor who portrays a victim of a crime or disaster. Used by conspiracy theorists to claim that certain disasters (such as school shootings) were staged. According to right-leaning people, a cabal of bureaucrats working to undermine the current administration. A rating for political lies that have been repeated 20 or more times (multiple instances of 3- or 4-Pinocchio statements). The anticipated (and fulfilled) lopsided electoral victory of Democratic candidates during the 2018 midterm election. I actually have 2 lists here. One is for digital terms likely to be used in ordinary conxtexts. The second is for terms that I see a lot at work—that is, emergent in the field of cloud computing. Denying someone an outlet, whether on social media or in public forums, for espousing their views. To aggregate a thread of Twitter posts into a single long-form page, using the Thread Reader App. The use of gestures alone to control devices. A wireless device that accepts voice commands and plays responses. A form of computing in which the computer system “learns” to perform tasks (such as identifying faces or predicting behavior) based not on prewritten algorithms, but instead based on analyzing a very large number of examples and deducing patterns. 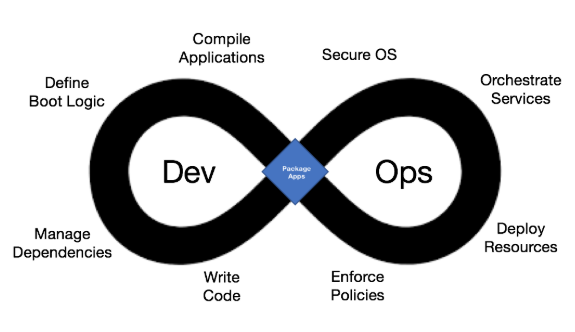 An approach to software development that integrates development (programming) and IT operations in order to streamline delivery of features. A computer design in which the processing for the system is decentralized by distributing some of it to the “edge,” such as to IoT devices. 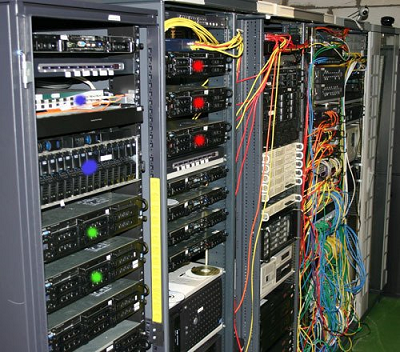 A form of cloud computing in which the mechanics of allocating compute resources (etc.) is left to the cloud provider, leaving the developer free to just write application code. My categorization starts to break down a bit here; the assignment of categories is a bit arbitrary. To harass someone by calling in a false report of a crime at the victim’s address in the hopes of having emergency services respond (for example, a SWAT team). Someone who is “involuntarily celibate”; generally associated with a subculture of men who hold (sometimes extremely) misogynistic views. The cohort of people born between the Generation X and Millennial generations (late 1970s through early 1980s). The act of “donating” a birthday by asking well-wishers to support a charitable cause. To restrict the visibility of a user’s social media posts without the user being aware of it, thus limiting the user’s reach without actually banning them. A person who is skeptical of the weight that was reported on the president’s medical report released in January. Based on the term birther for those who were skeptical about Obama’s birthplace. Officially, unscheduled time on the president’s calendar, but widely thought to refer to the time the president spends watching TV or tweeting. The cages in which children are kept after being separated from their parents at the US border. The unnamed owner of a company that the lawyer Michael Cohen worked for for 10 years, according to a court filing for the charges against Cohen. A meme that represents ironic sadness, based originally on an innocuous tweet that someone posted when the cat ate their dinner. A normally unremarkable medical instrument that became a strange and unavoidable part of the narrative about the murder of the the Saudi journalist Jamal Khashoggi. The lists above are culled from a fuller list of terms I was tracking. For completeness, I'll go ahead and list those here with minimal explanation, less the ones I've already listed. Other people have written about their personal WOTY nominations (for example, Nancy Friedman), but I've made it a point not to read those before I posted mine. I'm sure as soon as I see others' lists, I'll smack my forehead and exclaim "How could I have forgotten about that?!" There was a flutter of discussion recently on social media (again) about who and whom. Mary Norris, an editor formerly of the The New Yorker, argues "So does civilization depend on the vulnerable 'whom'? Yes." John McIntyre, long-time editor at the Baltimore Sun, instead argues Just use "who"—in other words, forget about whom. She called him and then sent them a text. *Her called he and then sent they a text. I think we agree that in this sentence, the case marking for the pronouns is all wrong. Mary called John and then sent the editors a text. Same sentence, only this time we use nouns instead of pronouns. 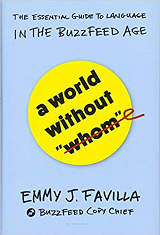 Which is the interesting point: in all of English, we use case marking to distinguish subject and object for a mere seven words: I (me), he (him), she (her), we (us), they (them), who (whom), and whoever (whomever). Other pronouns (you, it, the indefinite one). Unlike he, she, we, et al., these pronouns don't have distinct forms for subject and object. Possessive pronouns (my, your, his, hers, its, our, their, mine, yours, ours, theirs, whose). Same: one form to mark them all. Relative pronouns (that, which). Ditto. Why is this significant? Well, English used to mark all of these types of words for subject and object, back when English was still Old English/Anglo-Saxon. And languages like German and Russian still do mark them (well, nouns less so) even yet today. But we've lost subject and object marking on all of these types of words, all except that short list of seven, and we seem to be able to understand sentences just fine. Here are a few example in which words of these types are acting in different roles. I've marked all of the terms that are acting as subject or object. The owner herself gave it a thorough cleaning with the new vacuum cleaner that she just bought herself. After Mary called you, she texted you the address. Did you get it? My new phone beats my old phone by a mile. Again, except the couple of words from the short list of seven marked words, nothing is explicitly marked. To pick out a few instances, in the first sentence, herself refers once to the subject and another time functions as an indirect object. In the second sentence, you plays the part of (in order) direct object, indirect object, and subject. In the third sentence, my works for both the subject and the direct object. My new teacher called you. You called my new teacher. Identical forms of the words, but the order of the words tells us who the subject and object is. That's true for all of the example sentences. In fact, you could even go back to the Very Incorrect Sentence and argue that in spite of the pronouns being all wrong, it's still pretty clear who did what, because we can make a very good case (haha) based on just the word order. Who did she call just now? Tell me about the person who you met today. I have three brothers, one of who is a doctor. We don't know who we will hire. All of these sentences use who where it "should" be whom. But it's not possible for a native speaker to misunderstand the intent behind each. If you want, you can maintain that whom has a place in English grammar, and we should use it correctly in formal writing. If you do, though, be clear about why losing whom is an issue. Maybe civilization hinges on the use of whom, as Mary Norris posits. But it's not because we're going to be confused if it follows the path of so many English words before it. 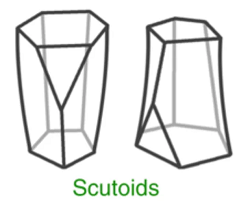 Something I found interesting was that scientists modeled geometries to determine which shape would fit together best when arranged both flat and in a curve. Then they went looking for that shape, and they found it! Apparently it’s all over the place in nature. Not only did they predict the shape and then find it, they got to name it. The name is based on the scutellum of a beetle, which is sort of the carapace of the insect. A second shape name came to me recently via Friend Ralph on Twitter. He pointed me to a blog post that mentioned a lemniscate, which turns out to be a formal name for a figure-8 shape. And by formal, I mean there’s a mathematical description of how to create the shape, as determined by mathematicians starting in the 18th century. The name comes from Latin (of course), meaning in effect “beribboned”; the lemni- part derives ultimately from a word for ribbon, which is a nice visual for the lemniscate shape. I have some darkish thoughts about the use of an obscure term like lemniscate in a blog post, but I guess I should just be happy to have been introduced to this term, as metaphor and otherwise. It's nice to sit around with friends and discuss things, right? Etymologically, maybe not so much. The word discuss has a more violent origin than you might think: the very original Latin meant "to shake apart" or "break into pieces." However, already in late Latin the word was used in legal contexts, where it referred to examinations and trials, and we got that sense from our friends and conquerors the Normans. It then evolved into the milder sense of "talk over" that we now have. Tho of course at times some "discussions" might indeed hearken back to the original sense. Politics surely is a rich source of new terms, even if most of them are weasely. This week I saw an article about James Allsup, a prominent alt-right personalty. Allsup had been called a white supremacist, and various GOP officials in the state of Washington had officially distanced themselves from him. But in private, a local party chair who supported Allsup said that the candidate had been label-lynched. There are a number of interesting things about this term. The connotation is that the Allsup had been metaphorically killed via language, moreover with the idea that this had been done extra-legally. Dictionaries I've looked at don't list metaphoric meanings of lynch, but it's not the first time that the word has been used like this; Clarence Thomas used the expression high-tech lynch mob to describe (and, as some say, shut down) uncomfortable questions that came up during his confirmation hearings for a seat on the Supreme Court. The word lynch is a very fraught term in the US. It invokes senses of mob rule, of enduring and extreme prejudice, and of innocent victims. And of course lynching was prevalent for a long time in the US as a largely unpunished crime that was used to exert violent and unjust control over a minority population. Invoking the word lynch is serious business. So it's some kind of verbal jujitsu to use a term like lynch to describe the reaction to someone's white supremacist views. Not to mention that this is paired with label (label-lynching) to describe someone who routinely uses terms like cuckservative, along with an insulting set of terms to describe African-Americans, Jews, and women. The term seems to be relatively new. An article suggests that it has currency in the alt-right community, and was possibly invented earlier this year. The Spokane newspaper that broke the story of the GOP chair admiring Allsup might be the term's entry into a wider world. I will say that as a piece of language, the expression label-lynching feels like something that could have been invented by master propagandist Frank Luntz. The alliteration, the bumper-sticker mentality, the implicit outrage: these all feel like attributes that can give a term like this legs. Ok, enough of that unpleasantness. Let's move to origins. A tweet this week by the folks at Dictionary.com clued me in to an unexpected etymology for the word penthouse. It was not originally a house and it wasn't, um, pent. The word as we got it from French was apentiz, which referred to an attached building or lean-to. This is related to appendix in the sense of "attached." But two things happened. One was that the initial and unstressed a- dropped off, a process known as aphaeresis or aphesis (compare around > 'round and excuse > 'scuse). That left us with a word like pentyz (various spellings). Then a process called folk etymology took hold. The word pente meant "slope," and people heard "pent-is" referring to a building with a sloped roof, and they thought that the -is part must actually be -house (hey, a building, right?). So the word actually turned into penthouse. It wasn’t till the 20th century that penthouse was applied to a (small) apartment or structure on the top a tall building. And from there the normal rules of real estate converted location, location, location to luxury. This was a wee bit of a joke. Those of us who work in cloud technologies talk about on-premises resources, which refers to stuff that isn’t in the cloud, i.e., that's on the customer's site. And we’ve been adamant that it’s is on-premises, with an s at the end, not on-premise. The word premise refers to a proposition or basis ("The premise of the TV show is that …"), which is quite a different meaning than premises, which refers to the space occupied by a business ("No drinking is allowed on the premises"). In the same spirit that Jim posted the tweet, I suggested that on-premise would be the beg the question of 10 years from now. By which I meant that on-premise would be so widespread that people didn't even realize that this was technically a mistake. Update There's an interesting discussion in a comment on Adam Fowler's blog about why s-less on-premise makes sense morphologically in English. In fact, if you do a Google search on "licensed premise" you find the term in many legal documents, from all over the English-speaking world. If this usage bothers you, my advice is: hie you to a licensed premise, drink up, and accept the inevitable. Up here in the northern hemisphere, we're in the midst of the so-called dog days, which does not stand for "drained of gumption," no matter what you might read on the internet. Everyone knows the word schadenfreude, right? Taking satisfaction in someone's misfortune. German, of course: Schaden ("damage, injury, disadvantage") and Freude ("joy"). This week I came across two (!) additional new-to-me words that describe our feels about others. The first is another borrowing from our linguistic cousins: gluckschmerz (or Glückschmerz, if you want to get all German-y about it). This is kind of the opposite of schadenfreude—gluckschmerz describes the pain you feel at someone else's good fortune—Glück ("luck, fortune, happiness") and Schmerz ("pain"). Your annoying neighbor got a promotion? Gluckschmerz. Some rando won the raffle that you were holding a ticket for? Gluckschmerz. Sure, we have the word envy, but there's something a little more precise about the word gluckschmerz, says me. On a rather less solipsistic note, Friend Ashley introduced me this week to the word compersion, which refers to the joy you feel at someone else's joy, specifically that of a "loved one." This word derives from the Latin word for godfather (compater), which suggests a kind of familial connection between the people involved. That said, it's a word that has currency in the polyamory community, where it specifically refers to joy at someone else's, um, romantic joy. This seems like a great word, but one might want to be very clear about context before rolling it out in company. I recently made my way through the book The Perfectionists by Simon Winchester, which is subtitled How Precision Engineers Created the Modern World. He noted something I hadn't thought about: the origin of the word precision. The trail is a bit muddy, but the word seems to derive from Latin "to cut off"—pre ("before") and caedere ("cut"). (The latter stem gives us other terms like incise, scissors, and homicide.) Maybe it's just me, but the semantic leap from "cut off" to "exact" wasn't super obvious. Etymologies can be like that sometimes. Our summer is taking a break—it's 57 degrees (14 Celsius) as I write, and it's well into the morning. Sad. 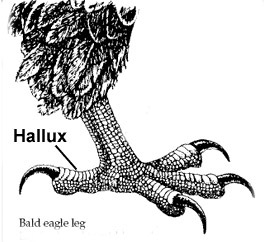 Then I looked up hallux, and discovered that the first definition is actually "big toe," like the ones on your feet. This sense is used in medicine: hallux valgus is yer two-dollar word for a bunion. Kind of interestingly, hallux was introduced into medical talk only in the 1830s, and isn't even real Latin; it seems to be based on a word allex, which seems to have been used to mean "thumb." Bonus related word: hallucal, meaning "of or relating to the big toe." Look for opportunities to slip that one into conversation. My other digit-related term today is dactyloscopy. If you know your Greek roots, this one might be clear—it's a fancy term (again!) for the science of reading fingerprints. (dactyl="finger", scope/scopy="examine") I wonder whether they ever use that on the TV show CSI. For origins today, I saw something on Twitter this week that really surprised me. Allison DeJordy, who works at Merriam-Webster, had a tweet about the word placenta. The word placenta is a medical name, of course. We have many medical terms that come from classical roots, as we know; why, we just discussed a few of them a moment ago. So it's not surprising that we have a Latin term for this particular organ. What did surprise me, tho, was that placenta is not just the Latin word for "afterbirth," the way that dactyl is the Greek word for "finger." In Latin, placenta referred to a kind of flat cake made from grain and cheese. In medieval times, when anatomists were naming parts of the body, the word placenta was added to the medical lexicon apparently because the organ resembles the flat cake in question. Does this seem as surprising to you as it did to me? As an aside, and in case you're curious, someone found a recipe in Cato for making the cake that the Romans called placenta. But I'm not sure I'm that interested in making it. It's Friday the 13th! But it's Friday! I'm conflicted. Friend Nancy alerted me this week to an interesting term: search void, also known as data void. This describes a peculiar weakness, you might call it, of how web search results are ranked. It might help to know that search rankings (or page rank, as Google calls it), works by counting how many pages link to a specific page. The more pages link to a specific page, and the more "authoritative" those pages are, the higher a page appears in the search results. "Authoritative" here is defined as a page that itself ranks high. If a well-known, high-traffic blogger links to one of your blog posts, your post will get a big rankings boost. A similar example occurs on Twitter: if someone with tons of followers retweets one of your tweets, many people will see and possibly retweet your original. The idea is a kind of digital crowdsourcing—the internet at large decides which pages are the best, and those rise to the top of the search results. A flaw can result, however, if a lot of content is produced and cross-linked about a topic, but that information is one-sided or niche. An article in Wired that describes this uses the example of vitamin K shots for newborns. A passionate anti-shot community has produced a lot of content warning of the dangers of these shots. There is not (or was not) a corresponding community of passionate pro-shotters, so there was a period during which if you searched for info about vitamin K for newborns, there was a data void: the top-ranked search results represented a kind of skewed data sampling. This information showed up at the top of the search listings, and people presumably assumed it was the "best" information, even though it doesn't represent a majority view about the subject. As our information sources become more siloed, we're all going to become more subject to search/data voids. I suppose the first defense is to know that there's a word for the phenomenon. For origins, a fun one that I learned from Jonathon Owen. In English, we got the word lettuce from Old French, and there are cognates like lechuga in Spanish. (Hold that thought.) It gets more interesting when we go further back. In Latin, the name was lactuca. The lac- part means "milk", because wilder members of the lettuce family have milky juice. That lac particle is what you see in lactate and lactose, and whose relatives are caffè latte and café au lait. (In Spanish, milk is leche, which hey look, is right there in lechuga.) The lac particle also shows up in the word galaxy/galactic, which comes from a Greek word for the Milky Way. Got milk? Yes you do. Page rank is a satisfactory lexical intersection of the term web page and the name Larry Page, one of Google's founders. This statement is only mostly true. Happy belated birthdays, Canada and America! Not long ago, Friend Heather posted something on Twitter that introduced me to the term asterism. I don’t consider myself unliterate in the basic vocabulary of science, so I was surprised I’d never learned this word before. An asterism is a recognizable arrangement of stars in the sky, like the Big Dipper. 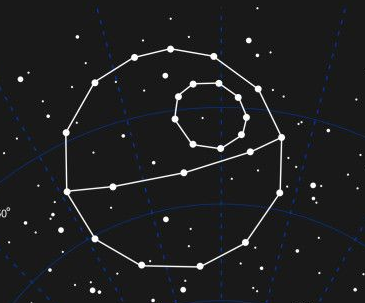 Wait, you might be saying, isn’t that a constellation? Yes. Sort of. In vernacular, non-astronomic usage, a constellation is indeed any old recognizable pattern of stars that has a name (con: with, together; stella: star). Anyway, for purposes of formal astronomy, the list of constellations that had been identified over the millennia and around the world turned out not to be consistent or rigorous enough. So in 1922, the International Astronomical Union (IAU) sorted it all out and created a map that covered the whole sky, dividing it up into 88 official constellations. The official map of constellations includes all the arrangements of stars that you see and that you can probably identify. But the reverse isn’t necessarily true: not all the patterns you know are a constellation, and might not even be within a single constellation. For example, the Big Dipper is part of the constellation Ursa Major, but that constellation includes many other stars. Similarly, the Pleiades is just a “star cluster,” not technically a constellation. Or, as I now know, an asterism. Origins. I've been watching a lot of baseball lately, because the Seattle Mariners have been doing pretty well. I therefore have heard the terms sacrifice fly and sacrifice bunt with some regularity. Which led me to wonder what the origins are of the term sacrifice. A sacrifice is something you give up in exchange (hopefully) for something else of value. In baseball, you give up the batter, who's likely to get out, in exchange for advancing runners already on base. Originally, the sacrifice was less metaphorical: a sacrifice meant offering something (bread or a goat or a lamb or an ox) in a ritualistic way as "propitiation or homage" (OED). We've been using this word in English since the 1200s, when we got it from our then-new overlords, the Norman French. Which gets us to the origins. The sacri- part is related to sacred; a sacrifice was originally a religious ritual. And the -fice part is Latin for "to make, do" (Spanish hacer) a term that has many relatives, like facile, factory, affect, gratify, and seriously, dozens more. So sacrifice is, like, doing the holy. I love this explanation in Wikipedia: “typically representing animals, mythological people or gods, mythological creatures, or manufactured devices.” “Manufactured devices,” isn’t that great? So, like, a plow. Which in turn leads to amusing speculation about what figures and “manufactured devices” we’d find in the sky these days. Maybe like this?